The excellent acting of the overwhelming sentiment by rookie actor Sung Joon in tvN drama Shut Up Flower Boy Band is attracting audience’s attention. In the drama, after the accidental death of Joo Byung Hee (played by Lee Min Ki), Kwon Ji Hyuk who is played by Sung Joon takes over as the captain of the “Eye Purification” band. In the episode 3 broadcast on February 6th, 2012, because of the death of good friend Byung Hee, Sung Joon perfectly interpreted the immersion in grief and remorse with his superb acting. In the end, Byung Hee is hit by member of arch-rival Strawberry Fields until the blood covers the whole face, so he calls to Sung Joon for help, but at that time Sung Joon is together with Lim Soo Ah (played by Jo Bo Ah). 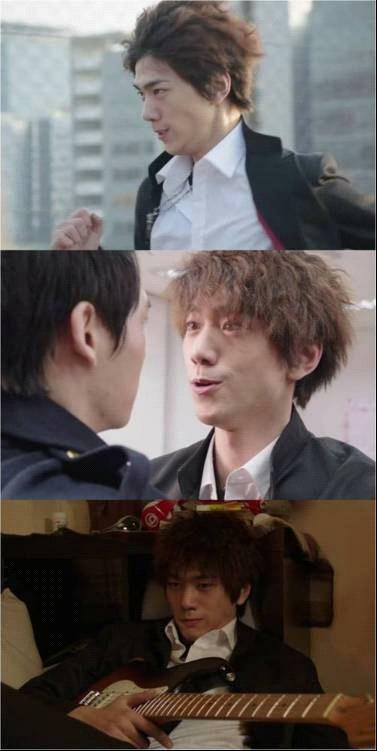 When Sung Joon heard the voice mail, he angrily calls on to members of “Eye Purification” to support Byung Hee, just when they rush to the scene, Byung Hee unexpectedly died. When Sung Joon angrily goes to find Yoo Seung Hoon (played by Jung Ui Chul), he is also suppressing the grief of the heart.